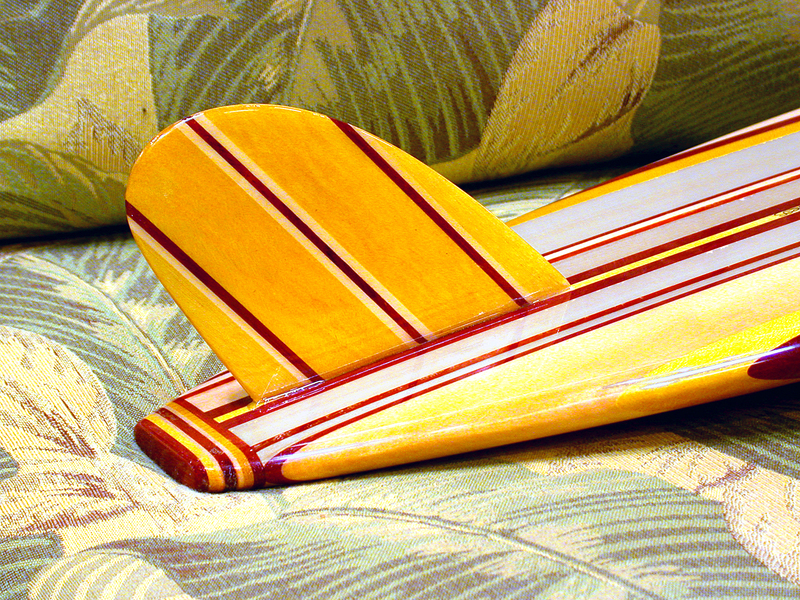 This half Scale (5 feet long) model of a 1960″s “longBoard” surfboard was built and then sold through the Gary”s Island store in the Fashion Island Mall of Newport Beach, CA. This board contains no paint or stains, but instead it”s colors are derived from the natural colors of the exotic woods themselves. Some of the woods in this art piece are Yellow Heart from Brazil, and Purple heart from Africa.